Streaming up to 4K Ultra HD with outstanding picture quality and high speed Chromecast Ultra not only streams up to 4K Ultra HD & HDR image quality over WLAN, but also delivers reliable performance and speed for smooth playback. Simply plug the streaming media player into the HDMI port of your TV, and you're done! You can stream thousands of cast optimized apps directly from your iPhone®, iPad®, Android device or notebook. Easy streaming: 4K videos, music and photos from smartphone to TV Your smartphone becomes a remote control. Use apps on your phone to choose what you want to see: YouTube videos, movies, series, photos. Just tap the cast icon to see your favorite entertainment in up to 4K on the big screen. Chromecast Ultra always streams the content in the best possible image quality. It's so easy to control your TV from anywhere in your home with your smartphone. During streaming, you can browse the Internet, start a Google search, or use your smartphone for other things. This will neither interrupt playback on the TV nor strain the battery during streaming. 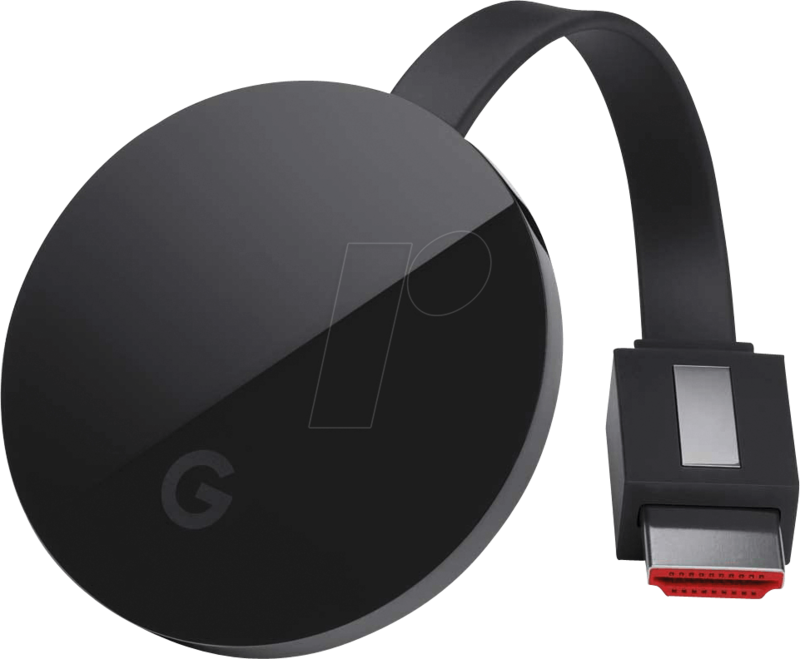 Chromecast Ultra* offers a sharper picture, more intense colours and even faster loading times when 4K content is streamed to a 4K TV. Whether you have a 4K or HDTV, Chromecast Ultra automatically optimizes the content so you get the best picture quality possible from your TV.